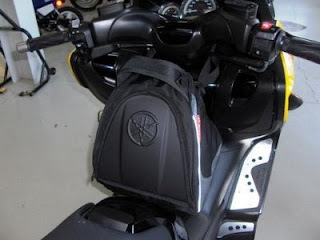 The TMAX console bag or tunnel bag or Tunneltasche is a tank bag for your scooter. This brand new TMAX accessory is especially designed for Yamaha's latest maxi scooter. 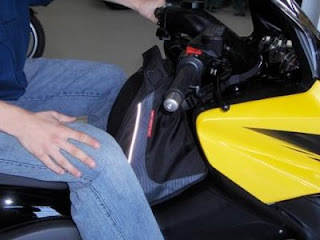 The console bag sits in front of the rider and easily attaches to either the steering column or the seat by a strap with a quick snap connector. The Yamaha tuning fork logo cover zips opens fully for easy access to all your personal items. A carry handle and detachable shoulder strap allow for carry along convenience. Take it to go or lock it up under your seat! How nice is that. The console bag attached to the seat. A photo for our http://www.tmax-group.de/ friends. 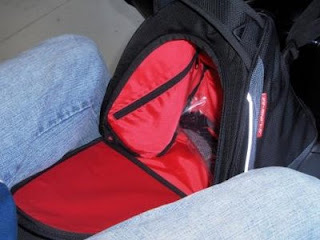 This bag can be used either way, attached at the steering column or attached under the seat. Have it the way you like it. 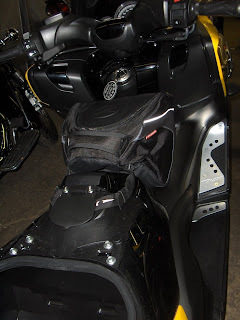 See all 2009 TMAX accessories page to view all the new TMAX accessories. 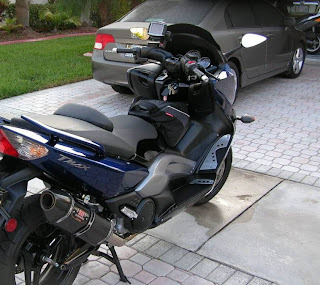 To search for your TMAX parts such as tail lights, fenders, seat, etc. and view microfiche browse our Yamaha parts pages. 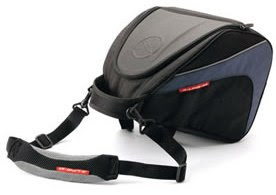 I'd like to inform that I have received in very good condition, the TMAX Console Bag I am extremely pleased with the fast services from your company and also Canada Post.